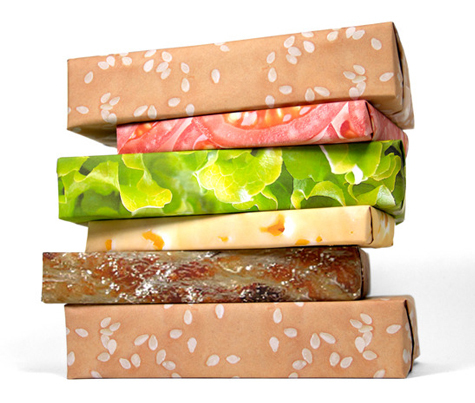 Hilarious and delicious gift wrap by Gift Couture. This makes me absolutely giddy! Can you imagine having four or five burgers under the tree for your family members on Christmas! ?